When I was a young mom, I loved the “What to expect” series, adding “What to expect when you’re expecting,” to my library as soon as the doctor confirmed it was real. I had the book memorized by the time I was no longer expecting. We expanded our collection to include “… the first year; … the second year; … the toddler years,” and that’s where they stop. I think we could have used another book in the series: What to Expect When You’re Launching. It continues as they test their wings through high school and then actually fly the proverbial coop to college or whatever young adulthood holds. There’s not much out there to prepare you for the wave of emotions and mental gymnastics you may find yourself experiencing. And so it’s the perfect description of this time of life and the emotions that tag along. “I’ll have tears as you take off, but I’ll cheer as you fly,” is one of the final lines of the song. Again. Perfect. This season of launching is not easy, but it is worth every bit of prayer and patience and perseverance that you invest. Here’s a snippet of what I would include if I wrote that book. The previous post in this series was devoted to these three words. I had to separate it out because this really was turning into a book. 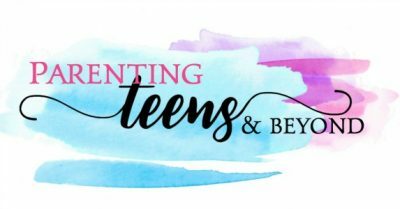 You can read more of that “chapter” here: Why Raising Teenagers is Hard ~ A message of Hope. Your mind and your memory will be your own worst enemy as you call into question decisions and choices. Your list of regrets will grow as you watch the remaining time shrink and you’ll beg the clock to slow down and give you more time to get it right. Despite all that this parenting journey has taught you about how NOT in control you are, you still believe that A + B must equal C to some extent … and it’s up to you to solve the equation. But here’s the deal: It’s not all up to you and it’s not all about you. They were given to you, but they aren’t yours. And they aren’t children anymore. to develop character in His children. 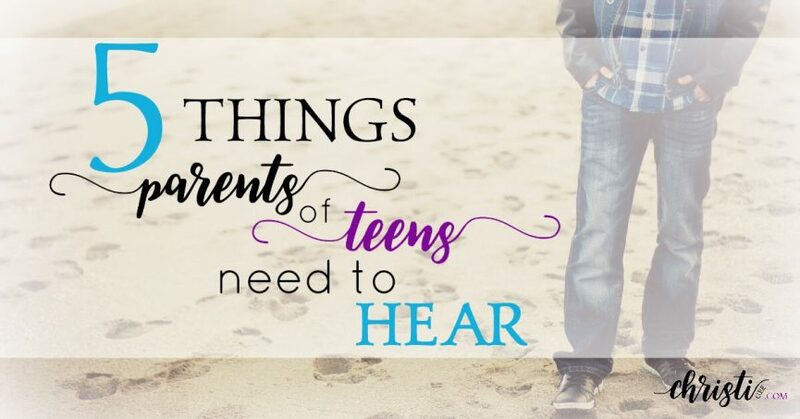 This applies to your parenting and to your teens. 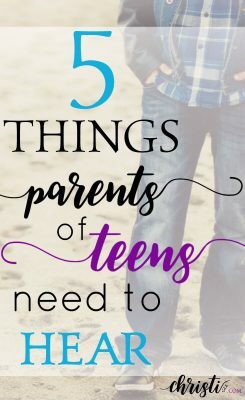 And finally, all the time and all the perfect parenting choices would not change this fact: You are launching an adult who is responsible for his or her own decisions. I could have been a _____. Do they even realize how much I sacrificed? Remember how much you didn’t know before you had kids? Remember how much more you didn’t know before you had teens? You didn’t get it then and they don’t get it now. But whether or not they ever get it does not determine whether it was worth it. It’s not that you really wonder about the ROI. It’s that we all have this need to be appreciated. To be needed. And at this stage of life, both of those seem to be in short supply. At the time you made those sacrifices, you recognized this was the most important thing you would ever do – and no one could take your place doing it. That’s why you did it. That’s why you would do it again. Yes, you would. And your children will return to say ‘thank you’ one day. It might not be until they have teens of their own, but they will. And even if they don’t, you are still in good company. After all, your heavenly Father has made a sacrifice that millions will never say thank you for. I know it seems this way, with their independence on the rise and their view of the relevance of your knowledge on the decline. But they need you even more, just not in the obvious ways they used to. When they were young and fell down, you rushed in to pick them up, inspect the damage, and doctor the bobo. Now, you can’t rush in. In general, you wait for them to come to you. You become the lighthouse as they venture out on those rough waters. You are their compass, whether they admit it or not. You set the example of what peace in the middle of the storm looks like. And you stay, holding down the fort – always available because they need to know where to find you. Sometimes, all they need is to know you are there. Sometimes, they just need you to listen as they sort through their feelings and options. Sometimes they need you to “lead the witness” and help them reach the right verdict. Sometimes, they need your help in making it right or getting it done. Knowing the difference is called wisdom. You know where the source of wisdom is, right? Hold God to His promise that He will supply all your needs, including the wisdom and understanding of how to walk beside and behind since walking in front is rarely your place anymore. From things as small as rejecting your ways to issues as monumental as rejecting their faith, the opportunities for heartbreaking conversations and gut-wrenching choices are pretty limitless. There’s so much to say about this. But this is a blog and not a book, and others have covered this subject so much better than I ever could. Even God the perfect Father has children who break His heart. Some by periodic attempts to “do it myself” and rebuff His perfect ways and some by lifelong decisions to reject His ultimate sacrifice. Can you do better than our Sovereign Lord? Regardless of where you are in the launch countdown, it’s important to remember that if you want a happy ending, it depends on where you stop the story. He and I have talked about this a lot lately. It applies to the good times and the bad times. If you find yourself in the middle of calm instead of chaos, I hope you are reminded what an absolute gift that is. With every breath, whisper praise and thanksgiving – and even shout it at appropriate times. 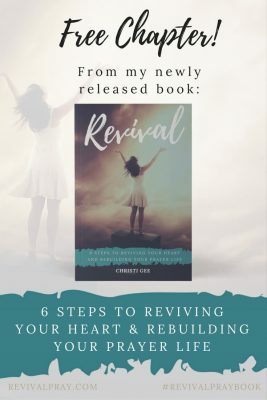 But if you are struggling in conflict or doubting yourself and decisions or … MERCY … praying for a teen or young adult to return to the faith you thought you imparted, then take HOPE. It’s not over. There’s time for a comeback — a surprise play. You serve the God of the Resurrection — A Father who hears your prayers, who watches for the prodigal, and who works through trials to bring beauty from ashes. Angela Martin….I could use that t shirt. Love my 18 year old daughter…she really needs that shirt… and I needed to see it must be normal. Great blog. I despirately needed today. Wow, I believe this is the first time I’ve ever commented on a blog post of someone I don’t know! But I just couldn’t navigate away from your blog without saying “thank you”! Thank you so much for taking time to write these words of strength and hope to all of us out here trying to get through the teen years with our sanity intact! Your words have been such a blessing to me on this roller coaster day. My oldest (a boy) is 16, and I have a 14 year old girl, a 10 year old girl, and an 8 year old girl. I feel myself exhausted trying to navigate this new and strange teen land. I’m like a boxer in the ring with a blindfold on, wondering when the next punch will land and from what direction. I know nothing about anything! That’s the one thing I know!! Well, anyway. Thank you from the bottom of my heart. I will be re-reading and pondering these thoughts for a long time to come. Cling to His promises and His wisdom during this time and you’ll eventually emerge on the other end. I testify to that truth. Thank you for being here and taking the time to let me know this encouraged you. That is priceless for me. Oh my gosh I can’t tell you how much I needed to read this today. My son is 22 and on the autism spectrum so functionally he’s about 14. These last few weeks he has started to pull away….questioning and debating everything. The urge to shut him down has been so strong. The energy it takes to “ir”rationally discuss something is exhausting and yet seeing him put the pieces together and start to see patterns of logic has been worth it. Today for the first time In his life he planned and shopped for all of his own meals. I looked at what he planned for meals…ramen, lunchable, can of soup…..and wanted to laugh and correct….I didnt. He went with his aid to the store and bought everything on his list….it will be interesting to see how meal time goes this week…when I’m eatting a steak and he has ramen…..he’s finally starting to fly, I’m terrified and thrilled. There were so many days over the last 22 years that I really wondered if he would ever make it. I love your husband’s advice…it’s not over yet. My husband would have said the same words! I will be reading this posting over and over again……!!! You bless me with your story. I’m on the other side of wherever rooting for you and your son as I read your words. Yes, those words “You can’t call it yet” rang in my ears often during our hard days. I was thankful for a husband who was an anchor. It sounds like you have your own anchor ~ what a gift! Thank you for being here and taking the time to let me know this resonated. It’s why I write. Oohh boy! This August we drive 12 hours, shove her out of the car into the merciless arms of strangers and never see her again. Well, not quite but she, a rather dependent girl, is about to go drive two roommates crazy until Christmas. And I have to let go of control. She is a hard worker (well, sometimes!) but I utilized a whole lot of mom technique to get my ADHD, dyslexic, somewhat socially-challenged daughter through high school and now she is on her own. I am so thankful she will be in a Christian environment with Christian roommates (already stalked their Twitter & Facebook feeds!) but still…Thanks so much for this. I’m saving it, rereading it and going back to read the other half! This comment made me laugh out loud. 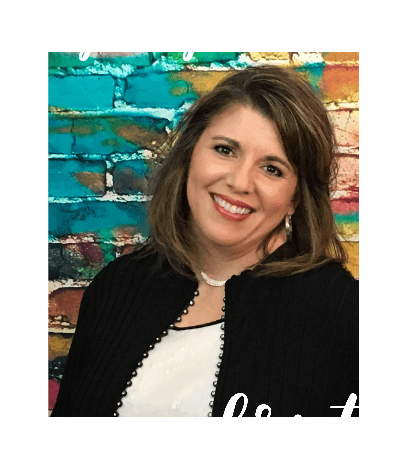 I would love to have coffee with you in person, as I bet you talk a “mile a minute.” Just stopped by your place to know more about you and found the Texas connection. Will certainly love getting to know you better! I just came back across this post in a really roundabout sort of way. And I really needed it. Again. I recently saw a T-shirt that said the following: “Don’t ask me about my grades, or college, or job, or relationship status, or weight. Actually, just don’t talk to me, okay. I was nice enough not to give it to her for her birthday. Each time we cross paths, your words make me laugh out loud. Keep the humor going through this stage ~ it’s your greatest weapon! I love Mark Harris! And I’ve heard that song. More than once, I’ll confess. And no, you can’t call it yet – love that. So much to mull over here, your thoughts are so deep and well written. ROI. I am so not anywhere near a mathematical kind of person. So yeah, I was like, “I’m googling.” Thanks for that. I let hubs do most of that kind of thinking and planning for me. But I do get the concept! ;) And yes, they do still need us and they come back. I can NOT believe how they come back and admit it now. Especially that strong willed one. WOW. I like your style, Tex. Like your style. You always have such deep words for me that make me think even more about what I’ve written than when I wrote it! So thankful for what God is doing here!